Patrick Brandt's career memoir. I hope you like it. Start from the top or read from the beginning. "What's our skateboard?" I ask a room full of executives and IT professionals. By this point, I've whiteboarded a list of business goals and prospective target audiences for a new digital product. I've drawn three columns, one with a skateboard at the top, another with a scooter, and the third with a bicycle. I've facilitated getting to the why and the who, now I need to guide the team to discuss the what. Figuring out where to start is always the hardest part. Which user audience do we focus on first, and what should the product do for them: what's our skateboard? After vigorous discussion, the team ends up roadmapping our new digital product across three release milestones (skateboard, scooter, bicycle) and has a good idea of whom should receive what features for each milestone. This cross-functional team has designed a shared vision for their digital product roadmap by using collaborative processes and visual mnemonics as shorthand for software releases. 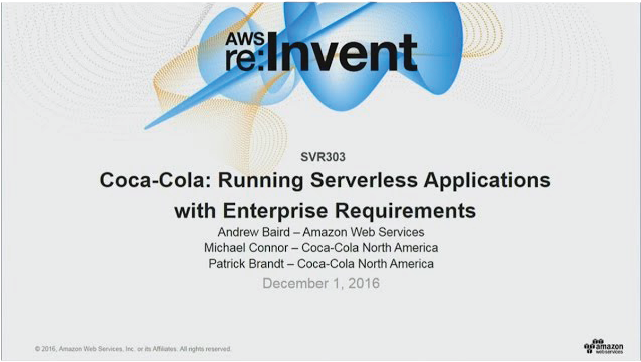 Digital products at Coke are geared towards supporting the myriad business functions that define a large enterprise. I'm focused on R&D and Marketing Operations, working on big things like enhancing our routes to market, improving our beverage product development capability, and optimizing our marketing asset spend across Coca-Cola North America's entire marketing asset portfolio. Getting big things done starts with defining product vision and building the product roadmap. I help with both. I began life at Coke as a Solutions Architect in the Emerging Technologies Development group. I did architectural oversight for important consumer applications like Coke's first North American direct-to-consumer ecommerce site, www.shareacoke.com, as well as several other digital campaigns in North America like Super Bowl 2016 and the launch of the "Taste the Feeling" brand evolution. I worked directly with development agencies, reviewed their code, and provided guidance for how they should build and host important components of their applications. I shaped some big things, like Coke's 60-foot tall robotic sign in Times Square, and small things, like an animated gif maker. I organized and participated in several hackathons, exploring purpose-built Digital Out of Home advertising systems and IoT for Cooler out of stock detection. I've gotten a couple of patent applications for some inventions that have been developed into important consumer marketing applications. 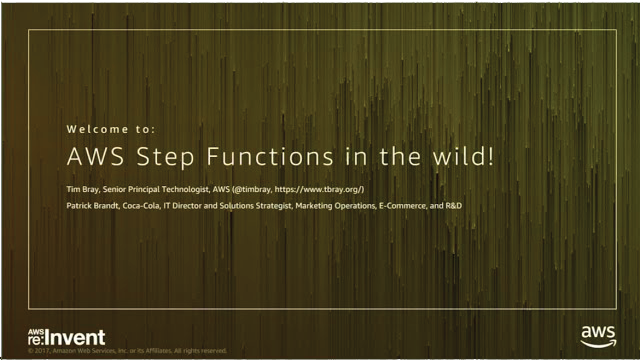 Now I'm an IT Director and Solutions Strategist driving knowledge (through talks, articles, and patents), design ("what's our skateboard") and delivery (working directly with development teams to craft the proper solution). My experience at Huge can be summed up thus: brilliant people across two offices struggling to do the right thing, not always getting along (and not sure why) and succeeding regardless. I was hired to be the Solutions Architect focused on the front-end delivery of a new used-car retail outlet called EchoPark Automotive. Huge built the brand from scratch and even worked with architects to design the floor plan of the EchoPark showroom (which included a massive 40x6 foot video wall). It was a soup-to-nuts brand engagement and digital was the core component. My role quickly expanded beyond front-end SA to overall technical product owner. I worked hard to motivate the team across both offices to ship software and also spent time with the ultimate product owner (the Chief Marketing Officer of Sonic Automotive) to shape requirements to meet her strategic needs (grow Sonic's market share by 2%). Huge had a very strict Agile practice. I leveled-up significantly in Agile delivery and automated configuration management. I also learned how to be a more empathetic leader, understanding the perspectives and frustrations of my colleagues. I learned how to maintain an atmosphere of civility among coworkers who sometimes disagreed strongly about the direction of the project. When I started working at MRY it was called LBi. LBi was one of the largest agencies in the world, with most of its business in Europe. Outside of Europe, the agency had an office in New York and Atlanta. I went to LBi in the hope of working on large global initiatives. My arrival at the agency occured right after LBi won Coca-Cola's global campaign for the 2012 London Olympics. I was a Technical Director leading a development team with staff in Atlanta and New York. Being a remote leader had its complications, but I earned the team's respect on the Olympics campaign by working extremely hard and making smart decisions to help guide the project through shifting demands that would arise as each individual Coca-Cola market (from the USA to Nigeria) imparted their own requirements on the campaign. 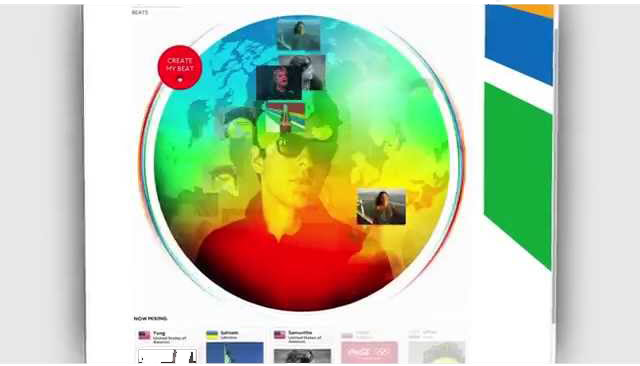 The site allowed users to create personalized music videos using images from Facebook. The engagement was strong: tens of thousands of personalized videos were created. I had the pleasure of seeing the URL to our site featured twice in Coke advertisements aired during the opening ceremonies. The successful Olympics campaign begat more work between LBi and Coca-Cola in partnership with Spotify. In 2012 Coke invested $10 million in Spotify and the two companies made an arrangement to execute some kind of co-branded marketing effort. In mid-2012, Coke, LBi, Spotify and Facebook all got together for a couple of weeks at Facebook's Menlo Park headquarters to figure out what all of us could do together to create a thing that Coke and Spotify could champion for their new partnership. Facebook hosted all of us as part of their "Shipyard" program. Shipyard embedded large brands and agency development teams at Facebook's campus for two weeks to build a brand new (minimum viable) product from scratch. We had a large room where we did our work and various Facebookers would drop in throughout the engagement to share their thoughts. Out of Shipyard, Placelists was born. Users could "tune into" a location that had a Facebook place page and add songs to that place. These songs could be voted on by other users to create a collaboratively generated playlist for that place - a "Placelist." At the time, Spotify's player supported third-party apps. Placelist songs were played in the Spotify player and lists were generated and manipulated through the player or through a responsive mobile web site. 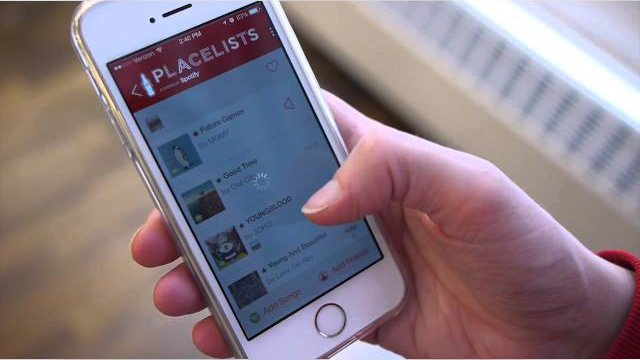 Placelists was the vessel for Coke and Spotify's co-branded marketing effort. Both companies got some good PR and Spotify got their logo, paired with a link to Placelists, on Coca-Cola cans in Europe. Spotify eventually ended support for 3rd-party applications in their player, thus ending Placelists. However, Placelists made it back into the news when Spotify went public in April 2018 and media attention returned to Coke's 2012 investment in Spotify. Engauge was my Cambrian explosion of development skills: massively-scalable web apps, mobile apps, test automation, Agile delivery, augmented reality, natural user interfaces, functional programming, cloud computing, and CI/CD. My work centered on flagship digital properties (web sites and mobile apps) for national and regional brands: Ruth's Chris Steakhouse, Chick-fil-a, and Food Lion among others. I built and maintained web applications for internet-scale audiences for the first time. I also began interfacing directly with clients and business owners, building relationships and becoming the trusted technical advisor they were sometimes lacking within their own organizations. 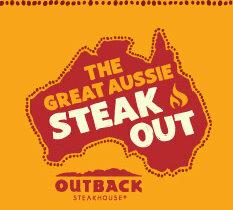 Then came the Outback Great Aussie Steakout. Outback Steakhouse wanted to promote their new woodfire grilled steaks with a massive media event and product give-away. They bought a 15-second ad spot on 32 networks (the four majors and 28 cable channels) for 9:01pm local time across 6 different time zones in the United States (from the East Coast to Hawaii). This is called an "advertising roadblock" and anyone watching TV around 9pm was likely to see the ad. One wrinkle to this: the Eastern and Central timezones are on a unified broadcast TV feed, which means that everyone who lives in those timezones (all 240 million people) were potential viewers of the ad (it ran at 9:01 Eastern, 8:01 Central). The message in the ad was simple: "Go to TheGreatAussieSteakout.com NOW and get a free steak dinner!" I led a team with two other developers (I was the architect and a co-developer, writing PHP for the first time). We had about 5 weeks to build the site. This limited my architectural maneuverability. I would like to have sharded the database across multiple instances and used data dependant routing to spread load across them. However, this technique is complex and requires much care and preparation. If the databases aren't accurately partitioned and the routing logic that maps queries to database servers is not tested thoroughly, very bad things can happen. Since we didn't have time to shard, I adopted a "bend don't break" strategy. 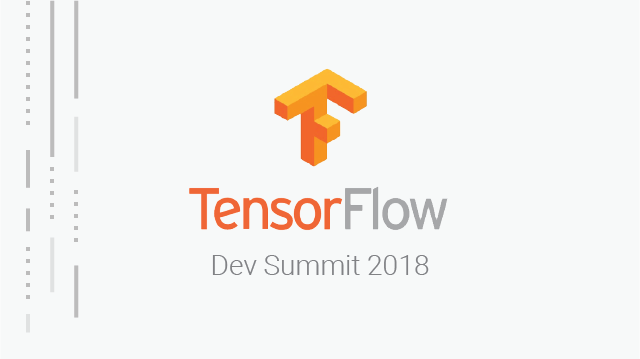 I brought the largest possible database instance online to handle reserving steak dinners and continuously replicated reservation state to a separate read-only server that held a fast in-memory database to help distribute load as much as possible. I optimized the reservation database server to handle as many concurrent threads as I thought safe. If the load on that database got too heavy, it would start shedding connections but would not go down all together. We had some scary moments after the first TV roadblock (millions of impressions). The load did indeed saturate the database and the site started to girate up and down as connections were shed. The site went through a few cycles like this during that first hour, but eventually traffic lightened up after the initial huge wave of steak dinner reservations. Between the second and third hour of the promotion, the team was at ease with the way the campaign was going. At peak traffic we were receiving an average of 250,000 requests to the site per minute and giving away 200 steak dinners per second. The campaign was a huge success for Outback. They brought a lot of customers into their restaurants and increased their email marketing list by 950,000 contacts. I think my epitaph shall read "He gave away a million stake dinners on the internet in 7 hours." Having spent 5 years in Tallahassee, my new wife and I decided that it was time to seek greater opportunities in larger environs. 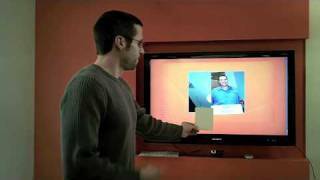 I had a fleeting opportunity with Microsoft to work as a software engineer on MSN Spaces (Microsoft's social media platform 2004-2010) but it didn't pan out, so we didn't move to Redmond. I'd always kind of had a thing for Atlanta; I would go up every Thanksgiving with my parents to visit extended family and grew fond of the city over the years (Little 5 Points and Wax n' Facts were my jam). We focused my job search there. My wife diligently fanned my resume out to recruiters and plugged it into online job sites. I drove up to Atlanta to interview with an agency called Spunlogic and made a quick detour to do a last-minute interview at SolTech. After several invigorating conversations with their recruiter and an interview with their co-founder and president, I signed on. I was staff augmentation, placed at a startup in north Atlanta called Retaligent. I worked with a small team of Georgia Tech grads (me and three other guys) to build a "personal shopping helper" platform that was sold to Saks 5th Avenue: a salesperson would assist their shopper while documenting shopper preferences on a Personal Digital Assistant (PDAs were pre-smartphone handheld devices). 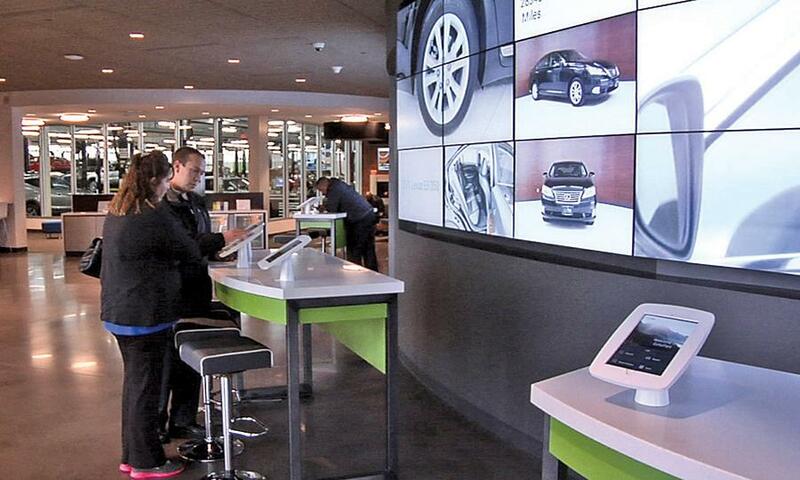 This personalized shopper data integrated with the point of sale machine and a customer-facing web portal. All of it was built in .Net, with the handheld running .Net Compact Framework (which was a resource-constrained version of .Net for embedded systems). I spent most of my time on the PDA app; I architected the whole application using Gang of Four software design patterns. I was getting really good at coding: I built a view management framework for embedded applications that elegantly communicated messages between views, controlled navigation between views (using a Mediator), and managed the lifecycle of views so that they wouldn't eat up the limited resources on the PDA. My father started Brandt Information Services, Inc. when I was 7 years old. By the time I graduated from FSU, my mother had assumed leadership of the company (my father became second in command) and the company had essentially cornered the IT services market for the state government of Florida. The interesting arrangement between my parents garnered them a multi-page feature in Inc. magazine when BISI made it to the Inc. 500 list in 2002. I started working at the company right out of grad school. I had been exposed to software design patterns during my research assistantship and continued to implement them in production systems for our clients at BISI (sometimes refactoring the code of others). I leveled-up in interface-based contracts and abstraction for integration with backend systems. There weren't any MVC frameworks for .Net at the time so I made one using my own Front Controller implementation. This framework reduced coupling between web application tiers (which was super tight back in the old ASP .Net days) and encouraged code reuse. I arrived at the graduate admissions office of the Computer Science department hat-in-hand, without a CS undergrad degree, assuming I was going to have to negotiate my way into the department. I imagined all kinds of academic indignities I could face in order to prove that I was worthy of the program before being considered. To my surprise, the admissions director not only accepted my application, he offered me a teaching assistantship and a tuition waiver. I'd be getting my graduate CS degree tuition-free and make enough money with the assistantship to cover all other academic and living expenses. This was the first big break of my career in technology. 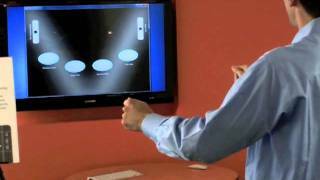 During my first year in the program, I took a Human Computer Interaction course taught by Dr. Ian Douglas (now at Arizona State University). He was so impressed with a paper I wrote for one of my assignments that he offered me a research assistantship to work on a learning management system funded by the US Navy. This was my second big break. I was an RA on Ian's team for two years, working with an interdisciplinary team of psychologists, software developers, and interaction designers. I learned to code from talented peers and also gained a passion for human-centered design that impacts the work I do today. I earned my Master's degree in Computer Science in 2004. Fun fact: my mother and I walked in the same ceremony. She was receiving her PhD while I was receiving my Masters. My daddy wouldn't let me apply to Yale. It was far from home, but not too far to get back for a weekend. My education in Orlando was multifaceted: academic, to be sure, but I also gained exposure to diverse groups of very creative people. I learned to be winsome, affable, and approachable to people who were not like me. I ran with artists, actors, and musicians. I became a nightclub hero (dancing on stage in front of hundreds of people) and a music producer (I got some college radio air-time and scored a couple of student films). I also worked professionally as an audio engineer for Century III studios on the Universal Studios campus, doing post-production in film and radio. I built an academic program that combined concentrations in Mathematics, Computer Science and Music. After writing my undergraduate thesis, I received a BA in Liberal Arts (and a minor in Math, with Honors). I seriously considered moving to L.A. to work in the entertainment industry as an audio engineer after graduation. I decided not to do so mostly because the labor market in L.A. for the type of work I wanted to do was so intense I'd have to sweep floors for a couple of years and hope to meet the right people to gain a foothold in the industry. Therefore, I decided to switch my career path to software development - I figured my chances for success were much greater in IT. A survey of electronic music from the Italian Futurist movement to the modern day. Accompanied by four original compositions.